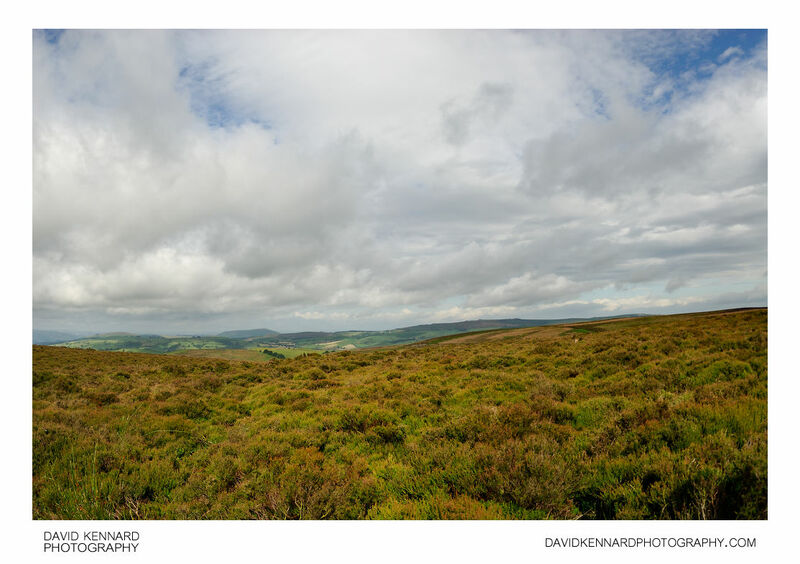 The Long Mynd is covered with large expanses of heather. The heather growth is maintained through a 16 year management cycle that involves burning or cutting sections of heather on a rotational basis. Curves adjustment to add contrast. Curves adjustment to darken image. Color Control Points to add contrast to clouds and heather.